Paris, Oct 25 (IANS) Indian shuttlers Saina Nehwal, H.S. Prannoy and the women’s doubles pair of Ashwini Ponnappa and N. Sikki Reddy entered the second round, while Parupalli Kashyap exited in the opening round of the French Open World Superseries here on Wednesday. Saina Nehwal defeated Line Højmark Kjaersfeldt of Denmark 21-14, 11-21, 21-10 in 50 minutes. 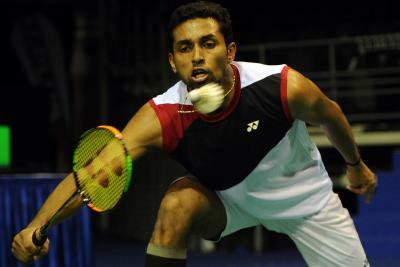 In the men’s singles, B. Sai Praneeth also joined Prannoy in the second round. Praneeth overcame Thailand’s Khosit Phetpradab 21-13, 21-23, 21-19 in an hour and five minutes.